FORAN - Essential powdered electrolytes with added Vitamins C and E - 1, 4 or 10 kg. Essential, specifically formulated, powdered electrolyte mix to replace loss during exercise with added vitamins C and E.
EQUI-LYTE G restores electrolyte levels after sweating to help maintain fluid balance, promote faster rehydration, maintain appetite and improve muscle recovery post exercise. 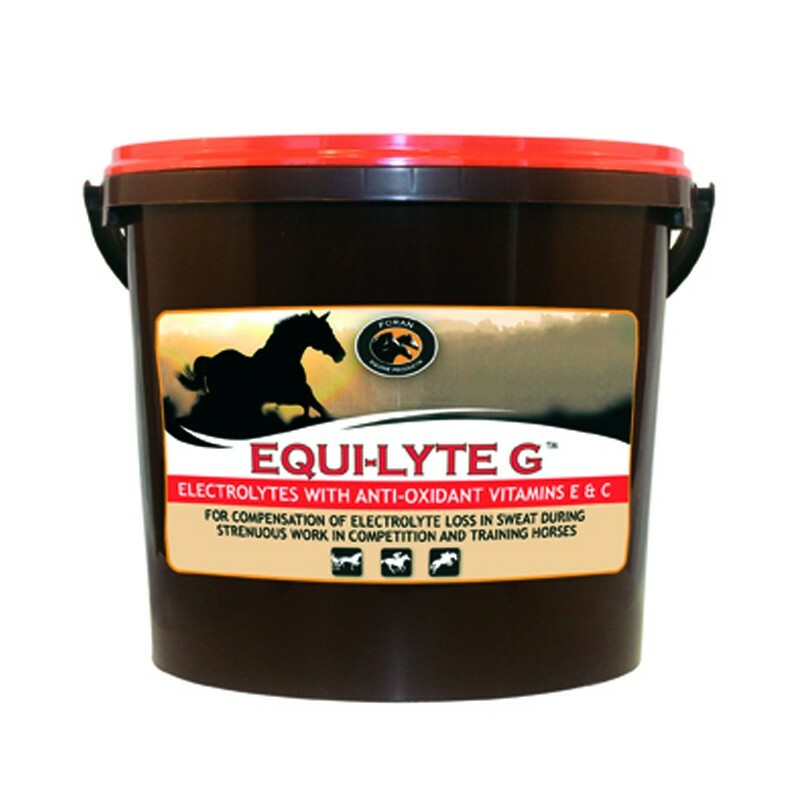 Vitamin C and E are added to EQUI-LYTE G as powerful antioxidants to help reduce cellular injury and aid muscle recovery. EQUI-LYTE G 's powdered format facilitates easy dispensing either directly in feed or mixed with water to create a paste for direct administration. EQUI-LYTE G is palatable, helping horses eat up well after exercise. Instructions for use : To be mixed daily with feed / water.